London new boys The Lunar Effect draw from their influences and paint their own psychedelic debut masterpiece in eight glorious tracks and over thirty-five heavy soulful minutes. Opener “Woman” is a barely-restrained tour de force and sums up the band perfectly in 3 emotive and powerful minutes that brings the heavy and subtlety in equal measure. Similarly “Stare At the Sun” ups the tempo and digs through the dirt to bring a groove-laden track that blisters, withers, burns and peels. The Jefford Brothers, Jon (guitar) & Dan (Drums), are brilliantly matched with bassman Brett Halsey and vocalist Josh Gosling and they combine to powerful effect. Never is this more evident than one the powerhouse track “Call It In” arguably the finest track on the album filled with the best the genre can currently offer. Other tracks like “Weaver” and “Filterdog” are inspirationally pulled straight from the psychedelic 60’s and fit perfectly with the band’s ethos and style. 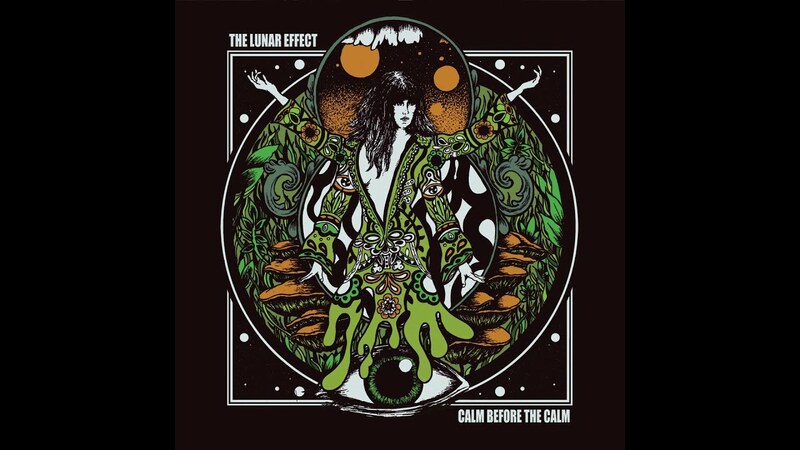 With bands like Black Sabbath now a thing of the past, doom-laden heavy psychedelic rock needs new heroes and from an ever increasing pool The Lunar Effect may turn out to be the best swimmers. Calm Before The Calm is out now via Kozmik Artifactz.